« De Niro: A collaborative Adventure. This entry was posted on September 22, 2013 at 1:45 pm and is filed under Adventure, Drama with tags 1986. You can follow any responses to this entry through the RSS 2.0 feed. You can leave a response, or trackback from your own site. Nice review. I haven’t seen this for a long time but remember loving it. I really could identify with the characters. Cheers man! Great little flick that never gets old. It’s one of those that always holds a little place with me. Excellent post, I love this movie and the soundtrack is so good. Cheers Vinnie. The soundtrack is marvellous isn’t it? It plays a big part in capturing the mood. Watched this again the other day and I can say this movie just gets better with age. It does that Vinnie. Such a brilliant little flick. I never tire of it. I reviewed it the other day if you’re interested. Ha! I just stopped by and commented on yours! Great work mate! Top five? That’s high praise indeed and one I will not argue with. That’s entirely understandable. Thanks for dropping by. A large chunk of setting the mood, time and tone of a film is caught up in its soundtrack. And ‘Stand By Me’ excels in this arena. Buttressing a decent and believable tale of bonding, arguments, friendship and fear of the unknown (future). I put it along side of ‘The Big Chill’ in this regard. And for putting the spotlight on a batch of new, fresh faced talent. Though, I still prefer John Sayle’s ‘Return of the Secaucus Seven’ for overall story telling. Great choice and excellent dissertation! Yeah, the soundtrack definitely plays a large part the movie. Despite not growing up at this time, I’m really drawn to the music back then. Wonderful stuff. I really need to watch this again, been too long. Terrific review :). Cheers Joseph! It’s just one of those films that’s always a pleasure to revisit. It never gets tiresome and it never ages. It’s a great one! Surely one of my favorite coming-of-age stories. It is a special little movie Cindy. It’s probably one of the first films I remember when I was younger before I became a cinephile. Definitely a nostalgic gem. I saw this years ago but definitely made an impression. It’s a shame River was gone way too soon. 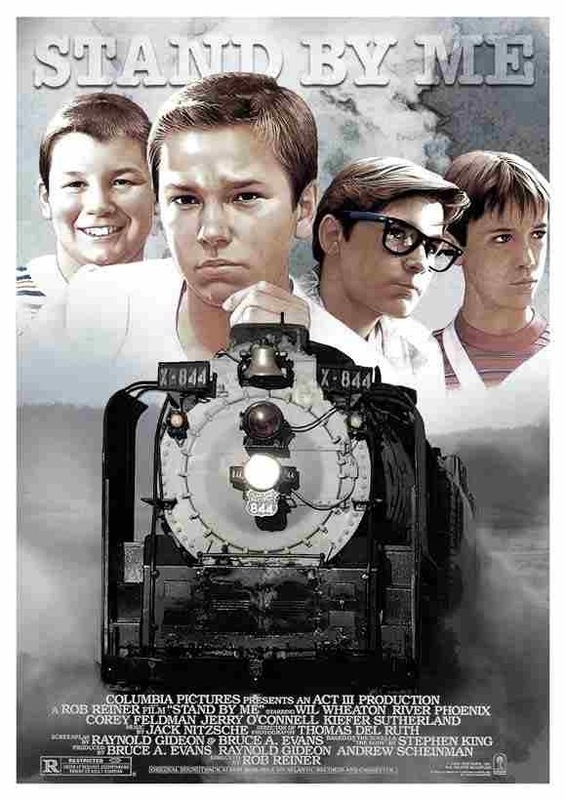 I saw The Kings of Summer recently that reminded me of this film. Yeah, as you know, I was a big fan of River Phoenix. I think he was actually my favourite actor at the time of his death. Such a poignant role this one. I cannot recall seeing this, but nice review… I might have to go check it out! You must be one of the very few who haven’t seen this, Zoe. You have a real treat awaiting you. I’d put this one at the top of your list to watch. Alright, then I am on this! Hahaha, you are really hard-selling this. I very much need to get to this so I can see why you are raving! Superb stuff my friend. I actually watched this for the first time the other day and thought it was great. It made me want to be a kid again and go hang out with my friends. Great performances from all the kids, I think most people can find at least one of them to relate to. Cheers Chris. Is that you just getting around to it? I just assume that everyone has seen it. Either way, glad to hear you enjoyed it. It does take you back, though, doesn’t it. The time and the place is very well captured but isn’t necessarily the films identity. It’s exactly what you just mentioned. It’s about reminiscing about your childhood and can appeal to almost everyone. Classic film and one I definitely need to rewatch again. Nice review Mark, sums this up perfectly. One of my top 5 of all time. 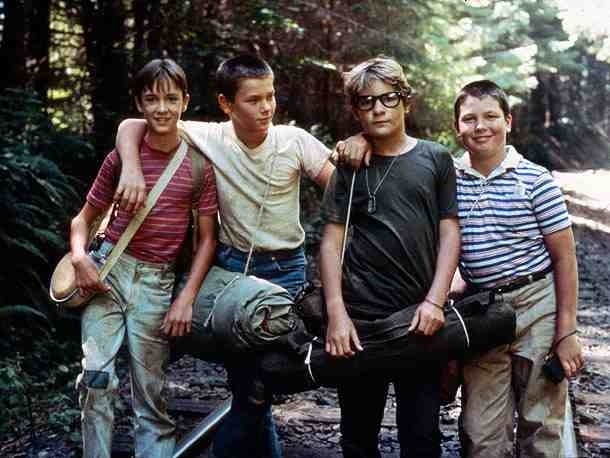 Aside from the first Star Wars film I can’t think of any that I’ve watched as many times as Stand By Me, and every time I see it I love it. Perfect film, great performances by all of the cast, and it has a great balance of humour and sadness. It was also the first film my family rented after my dad bought our first VHS player. My mum and dad were shocked at the swearing after years of just watching cut or overdubbed films on the telly! Thanks again Stu. I remember you saying it was a favourite. I absolutely love it as well. If truth be told, this was a review written from memory. I don’t normally do that. Perhaps on a rewatch it’ll get top marks. There’s no doubt that it would deserve them.